The next big thing in online marketing is content marketing. Sharing knowledge and information helps to get more followers on social media, gain better Google rankings and ultimately attracts new customers to garden centres. 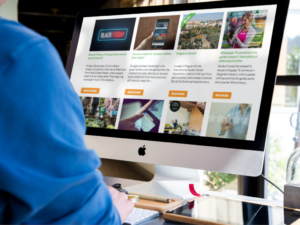 Garden Connect is providing online marketing services to over 300 garden centres in the Netherlands, Belgium, Ireland and the UK and shares the top five trends for 2019. Creating content is a challenge, creating relevant content might be even more complicated. Writing an article about garden furniture for a garden centre in the middle of Amsterdam doesn’t make a lot of sense: writing about balconies and ways to create a great outdoor space within a limited area sounds like a better plan.